It’s long been lamented that ConvertKit is only useful for people who want to collect First Name and Email, and whilst that’s largely true, for existing happy ConvertKit customers, there’s a couple of clever ways to really make the most out of ConvertKit’s custom fields feature. 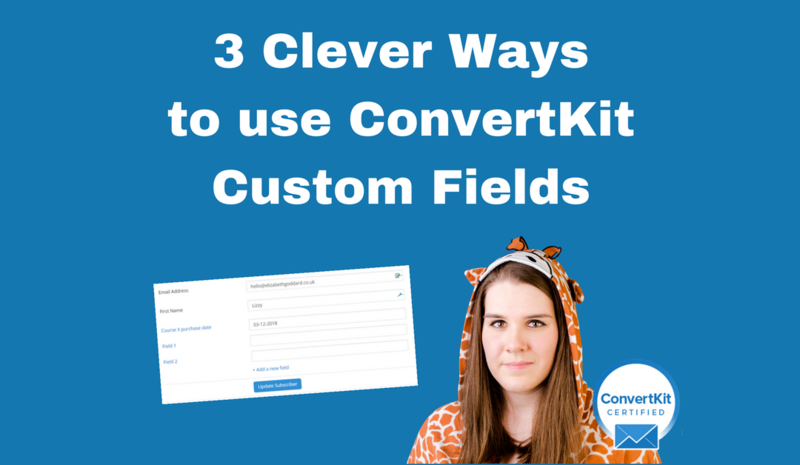 Before I jump into the clever ways you can use ConvertKit’s custom fields, I want to quickly show you how to create custom fields. 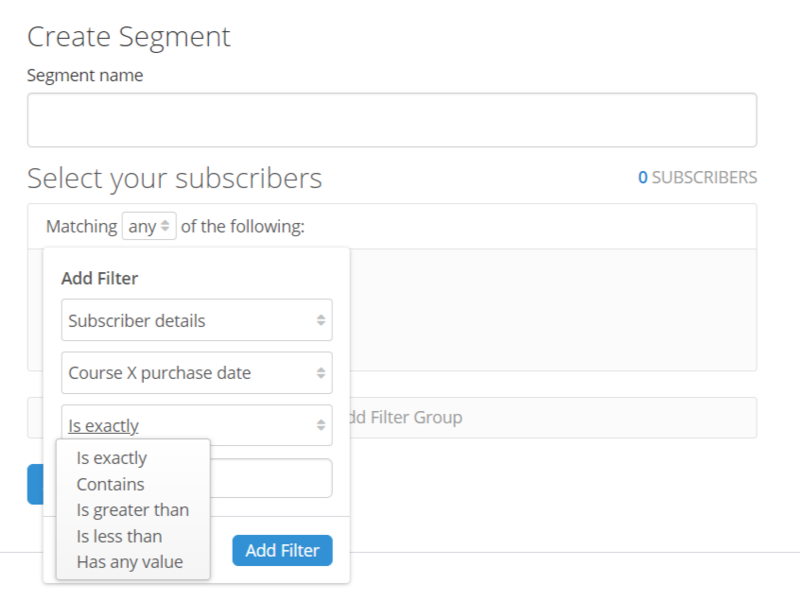 Click into any subscriber, click ‘Add a new field’, give that field a name, and click ‘Update Subscriber’. All done! You don’t need to put any content into the field (on the right hand side), you just need to give it a name (on the left hand side). This is the reason I’m really writing this blog post. One of the more recent updates in ConvertKit’s Visual Automation Builder allows you to update a custom field based on something else happening. 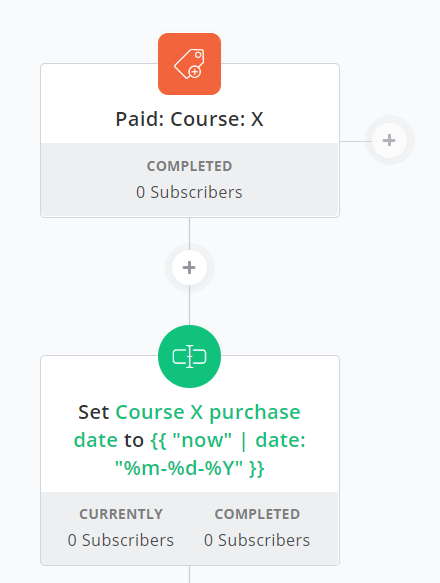 There are loads of uses to this, but a really obvious one which is going to be huge for my clients is the ability to add information about when a customer has a tag added, particularly when that tag being added indicates a purchase. There is a date filter in ConvertKit, but it’s only for when a subscriber first enters your ConvertKit account – not when a specific thing happened. Please do note that you can change the – to / and there are other options for how the date formats. I wouldn’t recommend using this code and having the specific date for times when you may want to filter based on what’s in the custom field (more on that below). I’m definitely not suggesting you create a custom field for every tag and have a million automations that record the date those tags were added, but there are a number of times it might be useful to selectively do this. 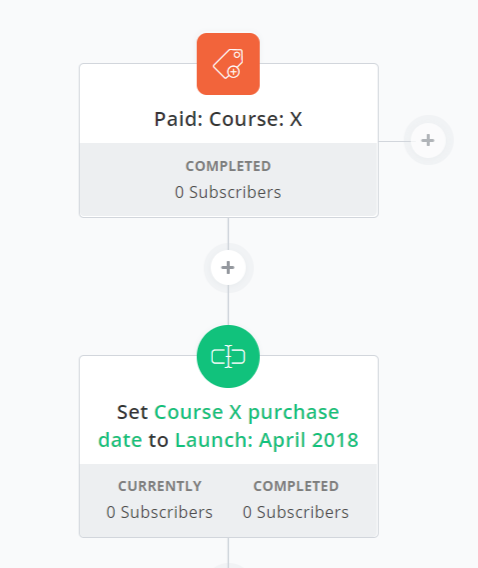 Let’s say you have an evergreen funnel for your course, and you also have live launches 3 times a year. You may want to know when someone completed the evergreen funnel so that you don’t include them in the live launch happening a month later. The ‘completed funnel’ custom field content might be ‘March 2018’. If you run live launches a few times a year, and you want to know in which live launch a customer purchased, you capture that as a custom field instead of a tag. The custom field content might be ‘Launch: April 2018’ or ‘Launch: September 2018’. If your ecommerce system has the ability to tag customers when their payment card is declined, then you can use this to trigger recording the date that happened as a custom field (and send them a follow up email which includes the date in it e.g. ‘Your payment was declined on ______’). If you just really need to know when a specific tag was added, you can use this. If you want to record when subscribers subscribe to a specific form, you can use this. I also want to make sure you know that you can filter (in Broadcasts and Segments), based on custom field content. Depending on what data you collect in the custom field, you can filter based on that e.g. is exactly ‘Launch: April 2018’ or Contains ‘Launch’. This doesn’t work so well for exact dates (using the Liquid code). Lastly, if you’re currently using a tag which you’d like to switch to a custom field, or you want to add a specific custom field to a group of subscribers, set up the visual automation, and then click into the tag (or the segment that groups the subscribers) -> select all -> bulk actions -> tag (and tag them with the tag that triggers the automation). This can be the tag they’ve already got. If you run a bulk action to add the tag, this will trigger the automation running. Creating personal Google Drive folders for group program participants and linking to those in ConvertKit emails. There’s a couple of really nifty systems that integrate with ConvertKit really powerfully through custom fields. A popular one is Deadline Funnel, which allows you to create personalised countdown timers for evergreen funnels on both sales pages and in ConvertKit emails. Another is Demio, which is my tool of choice for webinars and trainings. I really hope you’ve found this blog post useful! If you’ve been inspired to set something up or try something new using custom fields, please do share in the comments! If you’d like to learn more from me about using ConvertKit to its full potential, check out ConvertKit Club! There’s already nine in-depth trainings in there that you get immediate access to, plus an extensive video library and a private Facebook group to ask me all your specific questions.